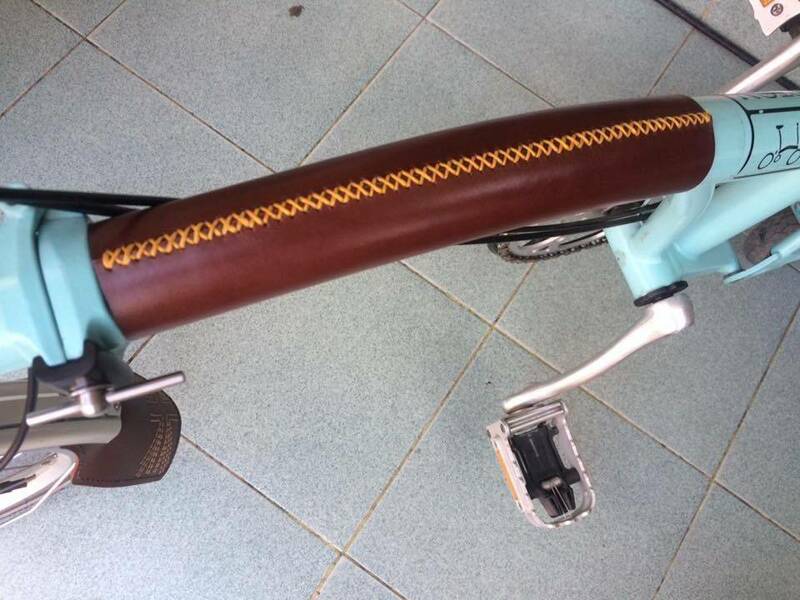 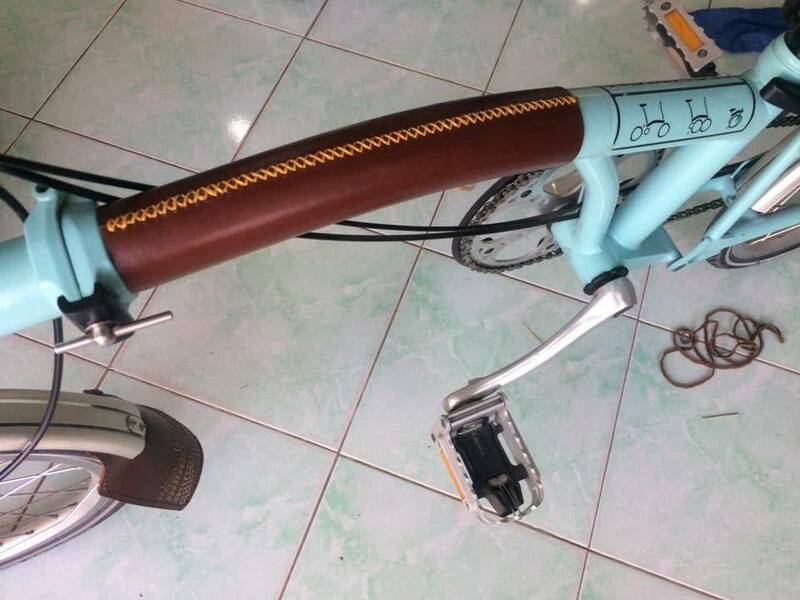 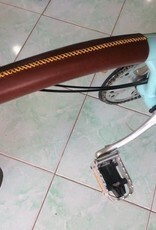 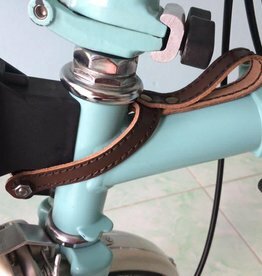 Stylish way to protect the toptube of your Brompton. 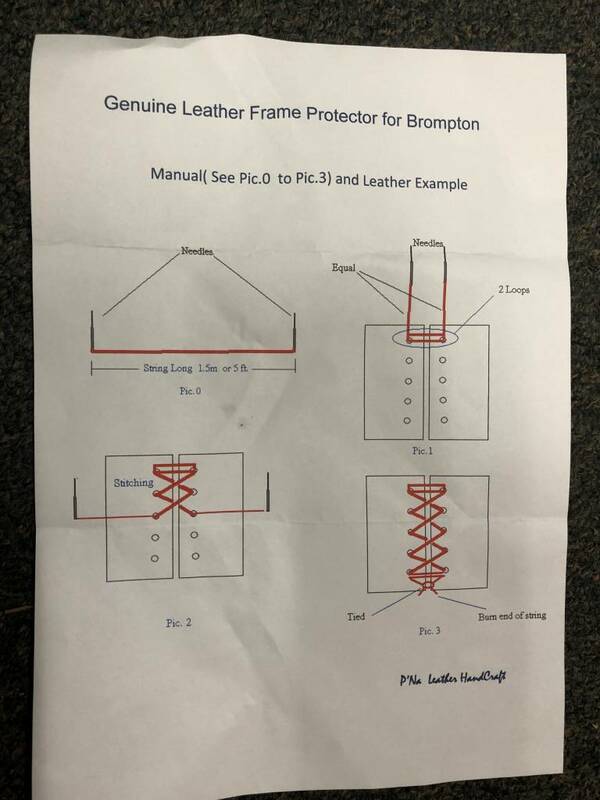 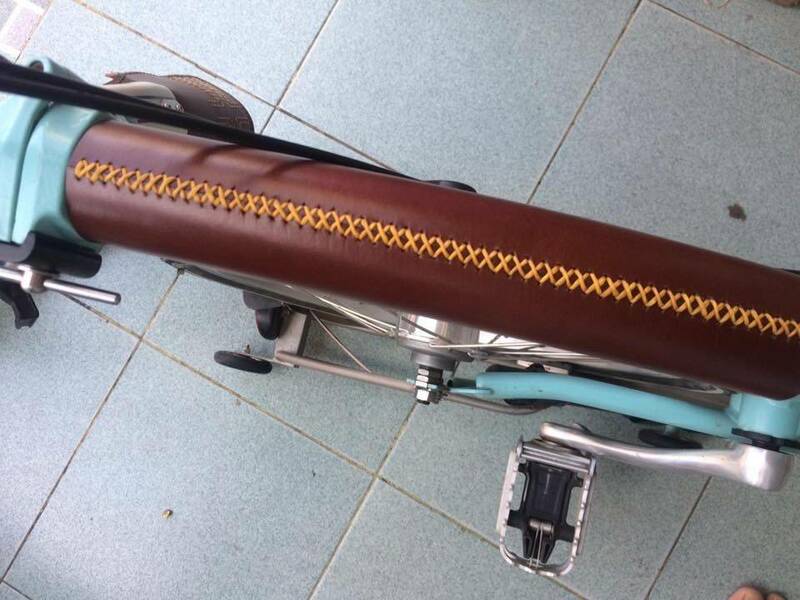 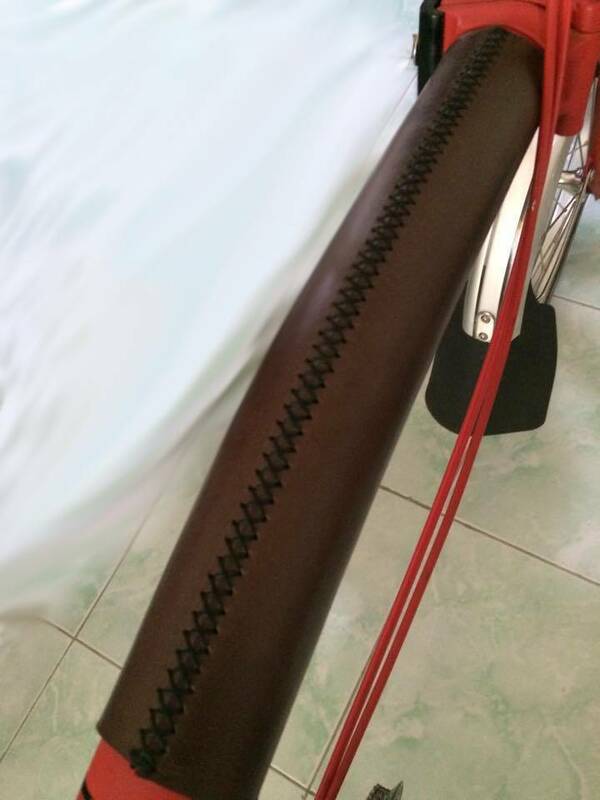 Requires hand stitching to attach to your bike. 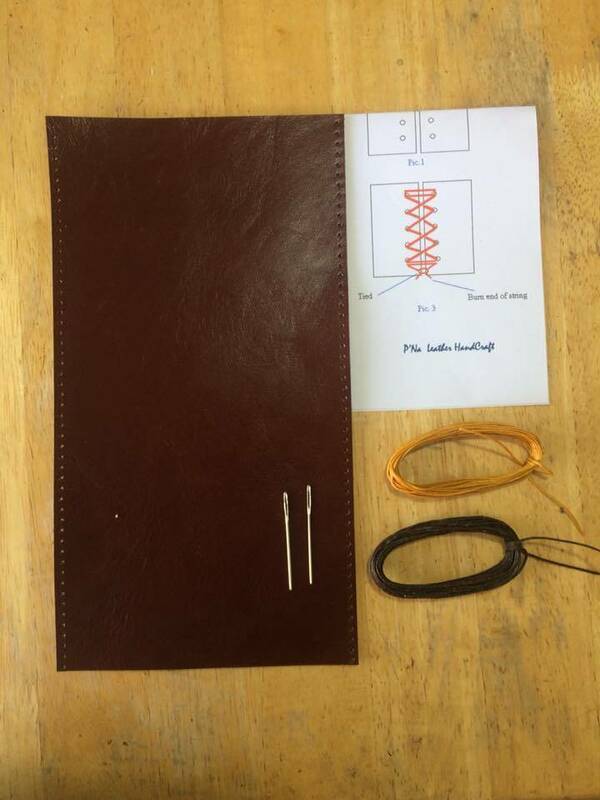 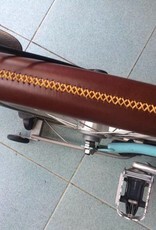 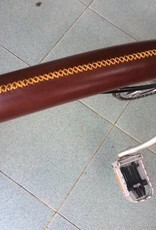 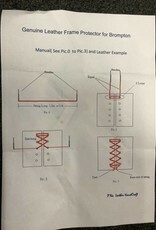 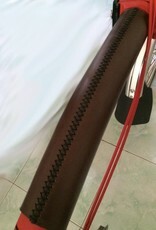 The result is a beautiful, custom looking leather cover. 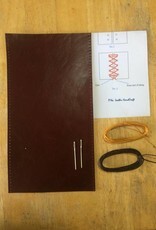 Comes with two different colors of thread so you can choose the finished look you want.